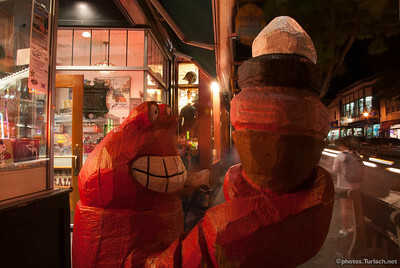 Hungry Rockin Lobstah with Ice Cream! 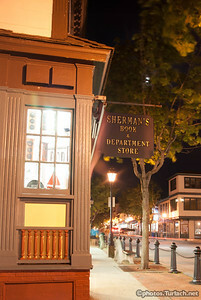 Sherman's has been there forever! 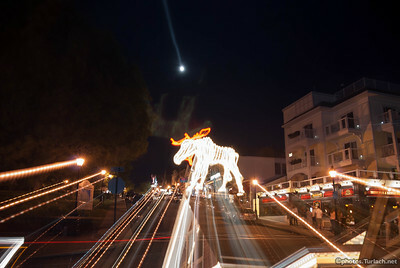 The giant lit moose is a favorite I think I've settled on the knickname of Electric Kool-Aid Acid Moose Test. 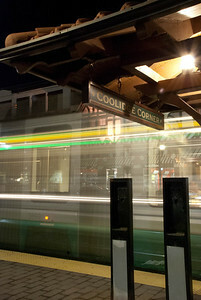 This was just a zoom pull. 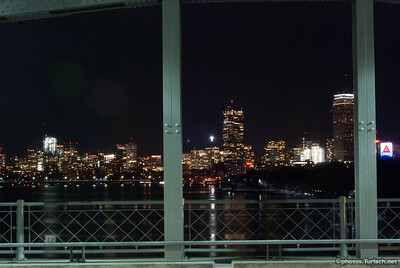 Not photoshopped! 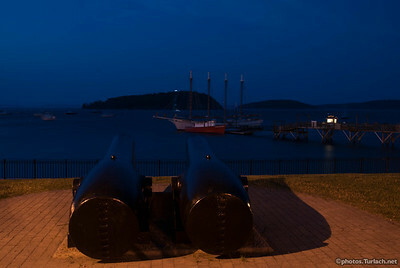 A view of the Tiger Shark and Margret Todd from the cupolo in Bar Harbor's Agamont park. 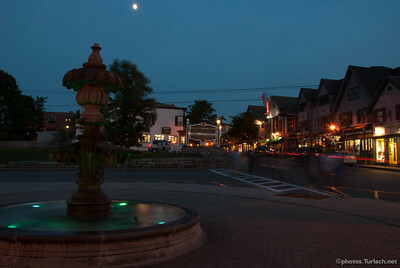 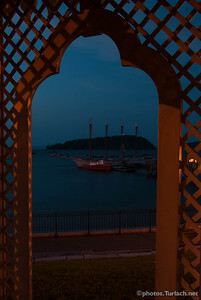 The fountain in Agamont Park in Bar Harbor at night. 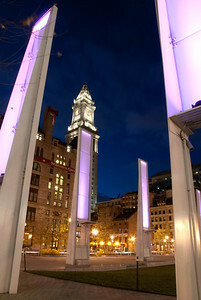 The Boston Customs House as seen from the Rose Fitzgerald Kennedy Greenway. 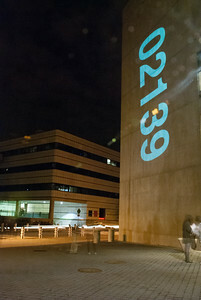 A celebration of Art, Science and Technology at M.I.T.. 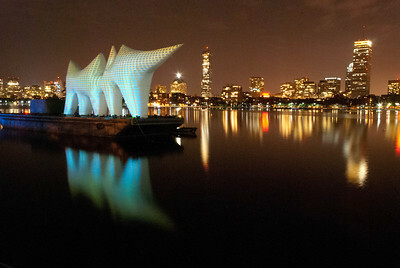 This is of "Liquid Archive". 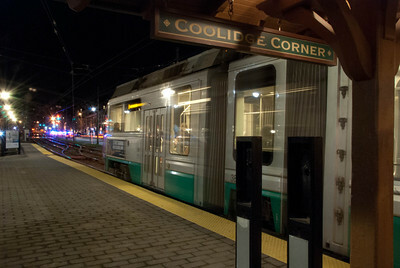 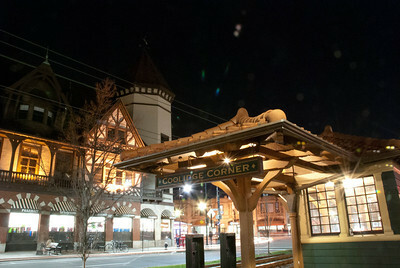 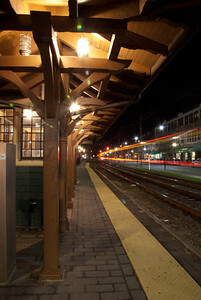 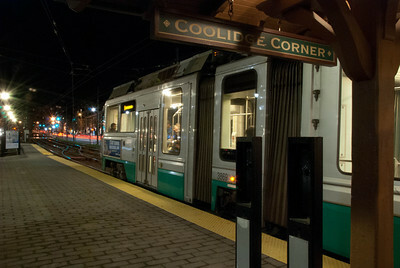 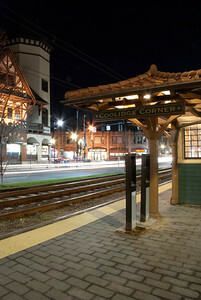 The old style covered waiting area for the green line in Brookline's coolidge corner. 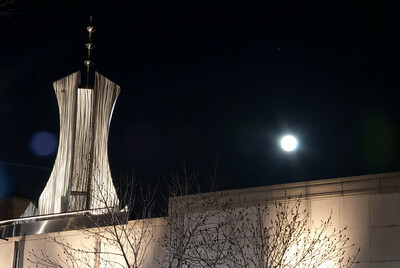 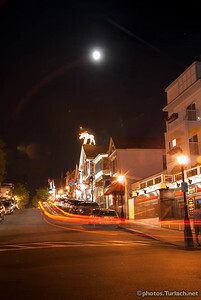 There was a big bright moon tonight. 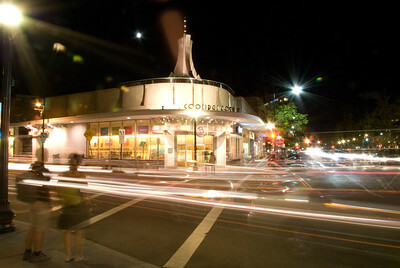 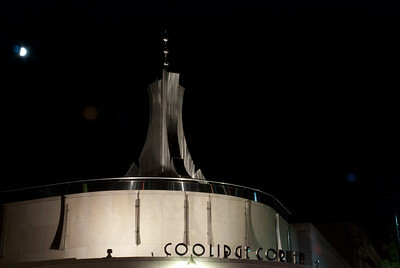 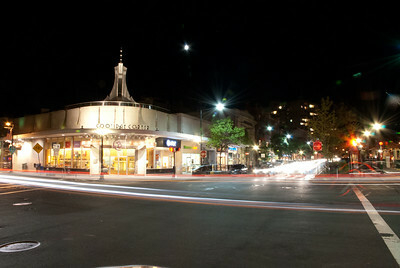 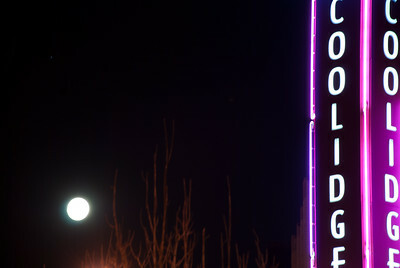 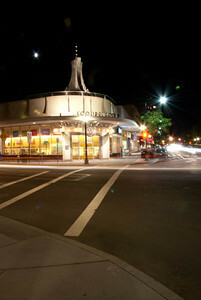 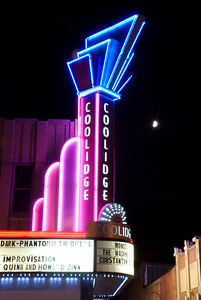 The obligatory Coolidge Corner night photography shot, the theater's neon. 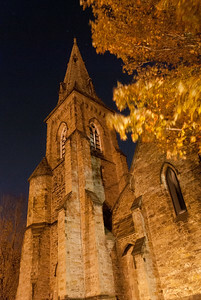 St. Paul's church in Brookline is a nice old stone church built at the end of the 19th century. 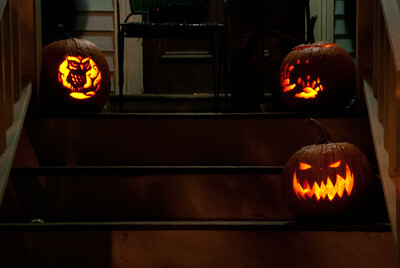 Jack O'Lanterns hang out on a porch in Brookline. 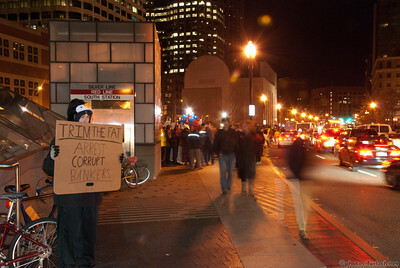 A sole protestor at Occupy Boston with her sign out on her own. 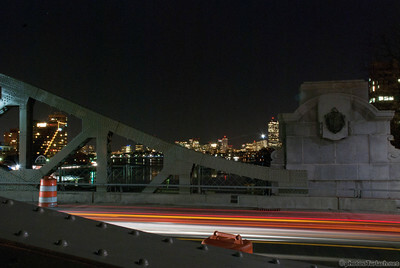 George Washington in the Boston Garden at night. 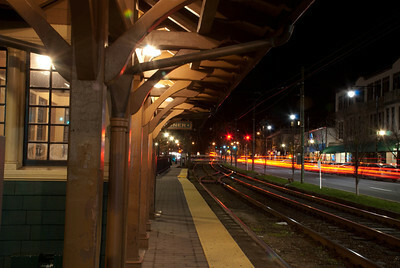 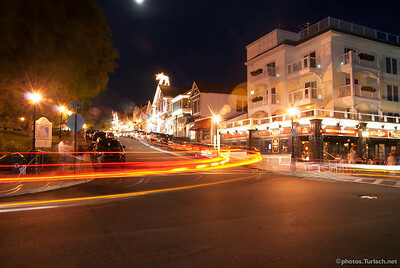 The HDR version. 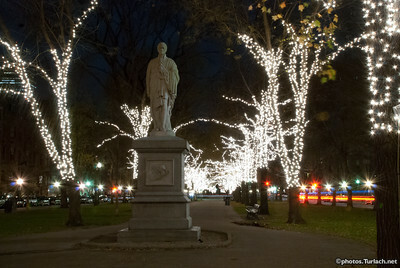 The Commonwealth Ave mall. The lights are on the trees for the holidays and light this statue in an interesting way. 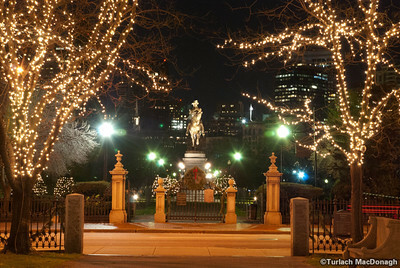 George Washington in the Boston Garden at night. 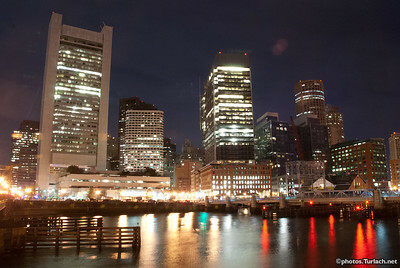 The Fed Resrve and it's neighbors. 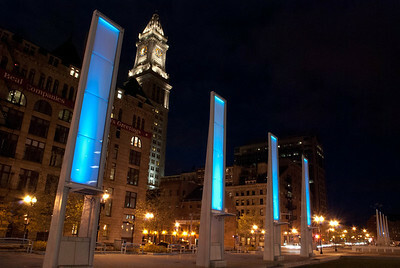 At tehe same time on the other side of the building Occupy Boston is occupying. 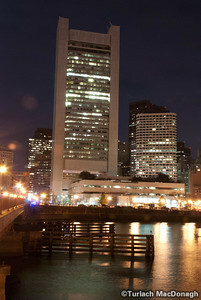 The Fed Reserve looks so calm at night. 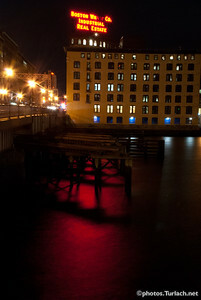 The Boston Wharf Co. sign at Fort Point Channel. 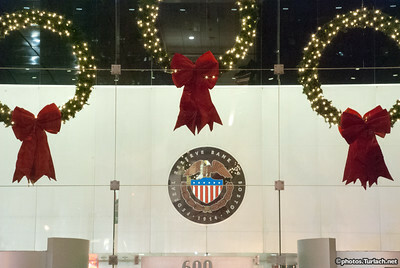 It's the Holiday Season at the Federal Reserve. 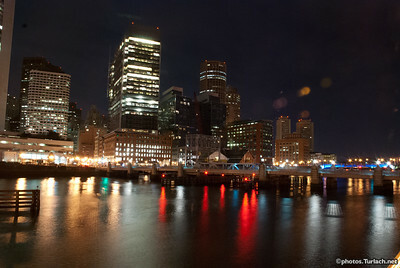 Occupy Boston was right in front of it. 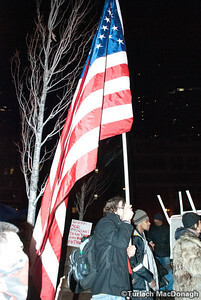 another protestor at Occupy Boston.